The ATA34 CBT module covers the radio navigation systems, including weather radar system, found on a typical transport category aircraft. 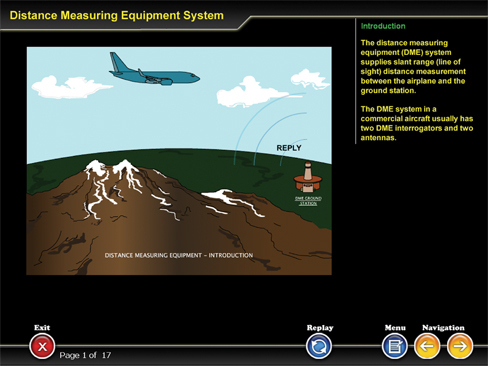 The CBT has 154 pages of multimedia courseware that include text,audio, and graphics. The topics covered in this CBT are listed below.